When we left off last, Leetuk had just become a toddler. Currently the Idols are enjoying a meal together. Korea, Yunho, and Junso at the dining room table. Jaejoong, Yoochun, Taeyeon, and Jessica are in the boy’s bedroom. 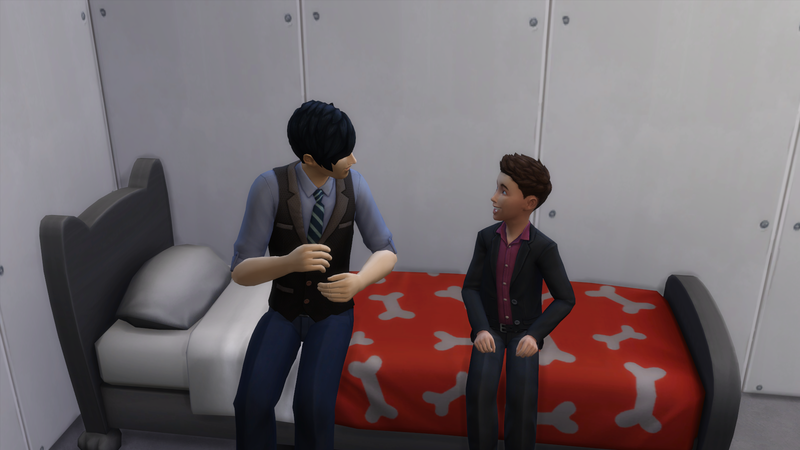 Toddlers Changmin and Leetuk are on the sofa. It’s Harvest Day so the gnomes are around. Taeyeon is working on her Whiz Kid aspiration. 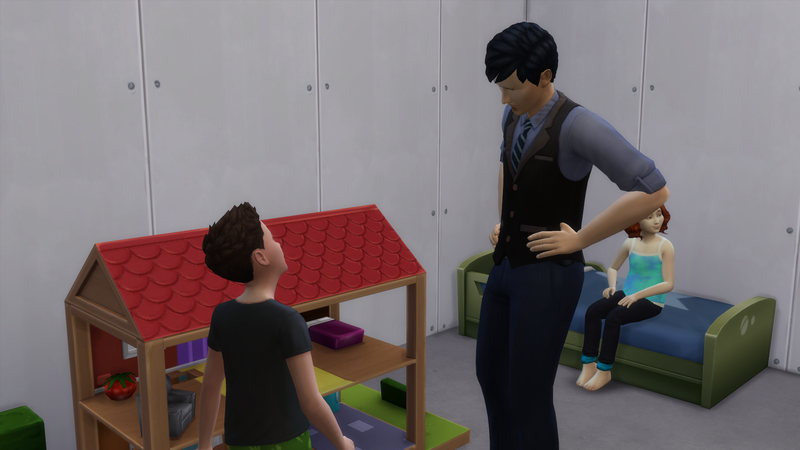 Soon I feel it’s time for Korea to get to work on the next child so Gunther is invited over so that the relationship can be ended. He’s the first to appear outwardly sad about it. 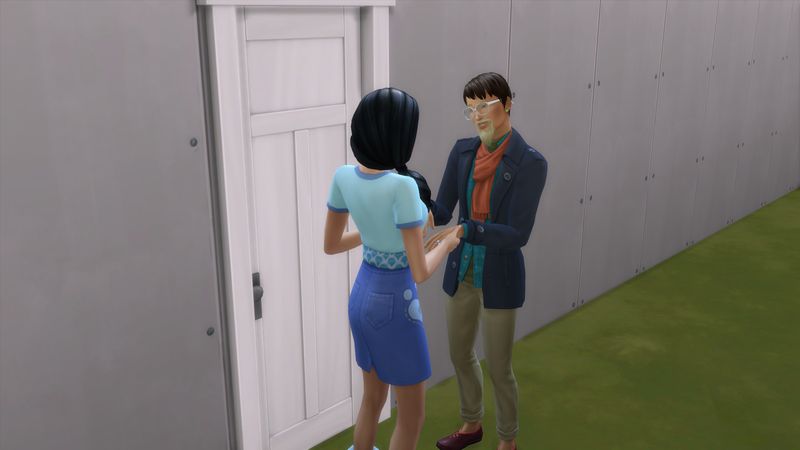 Seiji Yoshida is invited over and he is the next one in line if he cooperates. He’s unflirty so who knows how much of a pain he will be to get into the bed. So far so good with the progress. And it doesn’t take long to get him into the bed, shockingly. 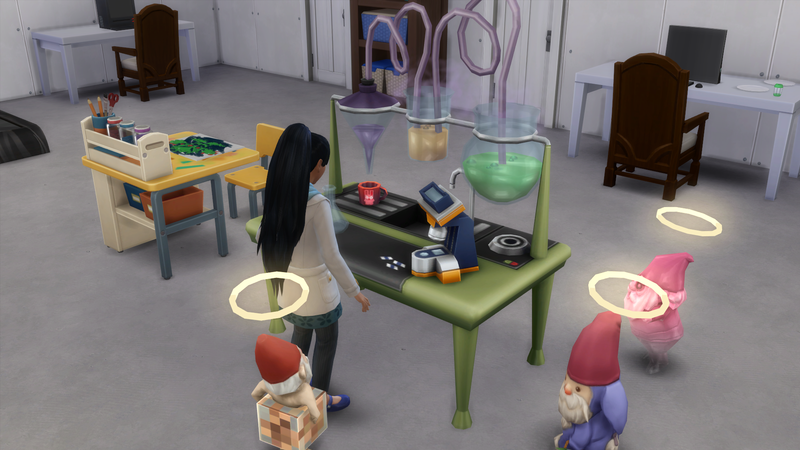 I recall the Sims 3 equivalent making things noticeably harder. 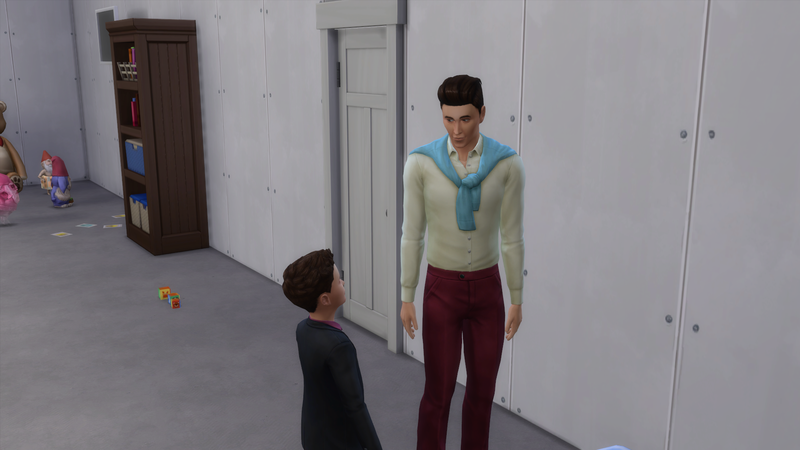 Changmin aged up to child. His childhood trait is Creative. 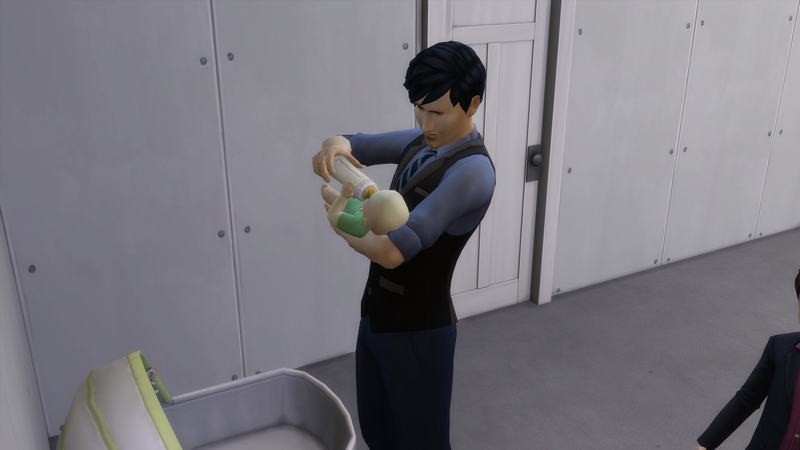 He’s a Social Butterfly for his child aspiration. 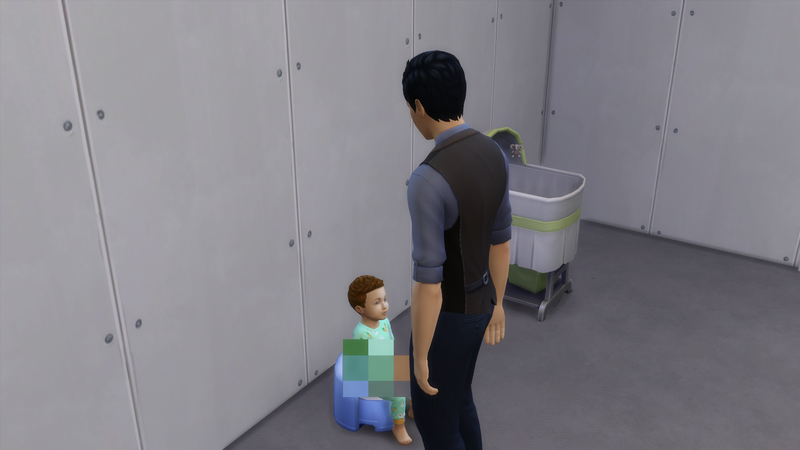 He did not get the Happy Toddler trait. 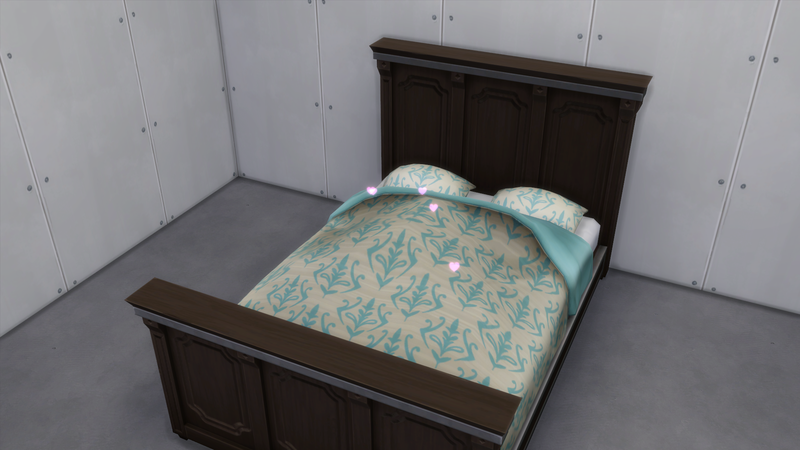 Needed a new bed for Changmin as I found out I can not move out Yunho while my house is over 8 Sims (Korea is pregnant so she counts as 2). 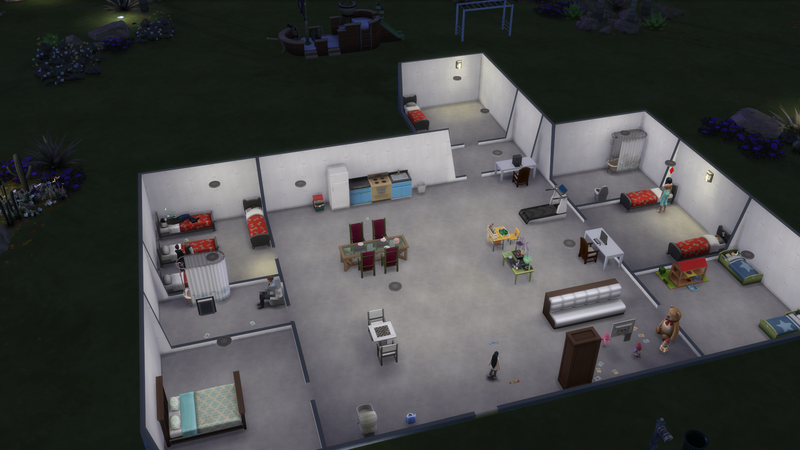 So they got a hallway and another bedroom added. Yunho helping to potty train Leetuk. The kids doing homework and eating dinner. They have a tendency to do this in the bedroom instead of at the dining room table. Changmin’s aspiration requires a BFF. Yunho was used as he was the highest relationship he had. Changmin’s dad then came over autonomously. He didn’t stay long, however. Yunho helping around the house by bathing Leetuk. 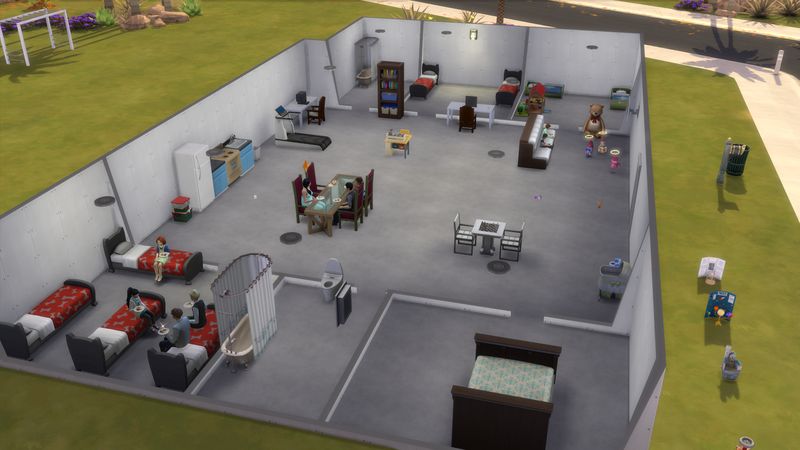 And this is where I realized I didn’t fix my MCCC settings when I updated my game. She gave birth and MCCC errored out and deleted the baby. 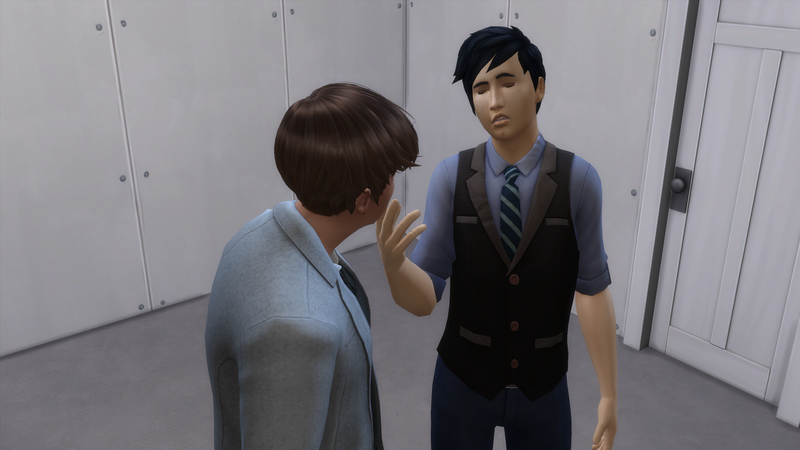 So I fixed my settings, invited Seiji over. 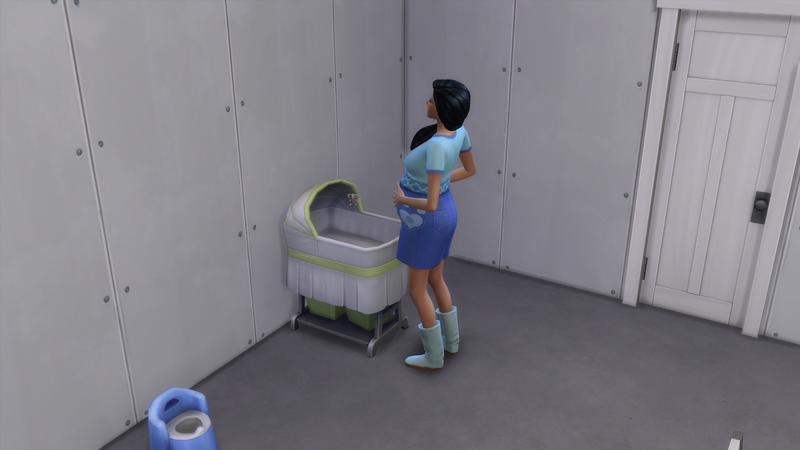 Got her pregnant again, and used MCCC to send her into labor. She gave birth to a baby boy named Heechul. Junsu aged up to teenager and he’s handsome, especially considering he is pure EA created as he was adopted. His teenage trait is Goofball. 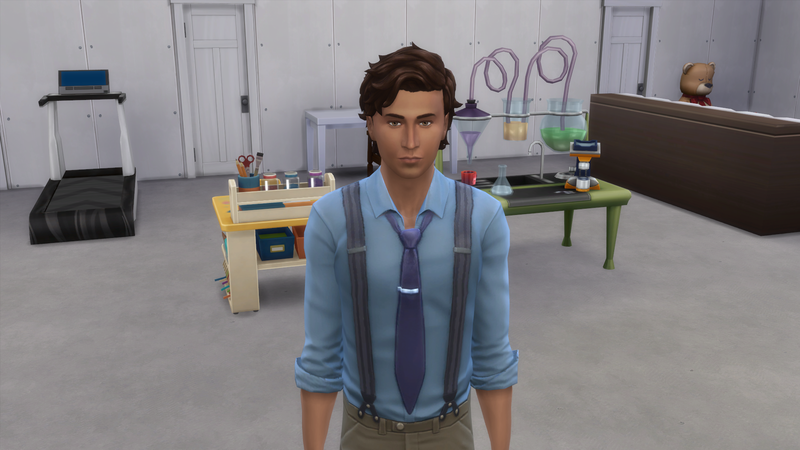 He’s landed on the aspiration of Painter Extraordinaire so he’s also got the the trait of Muser as well. 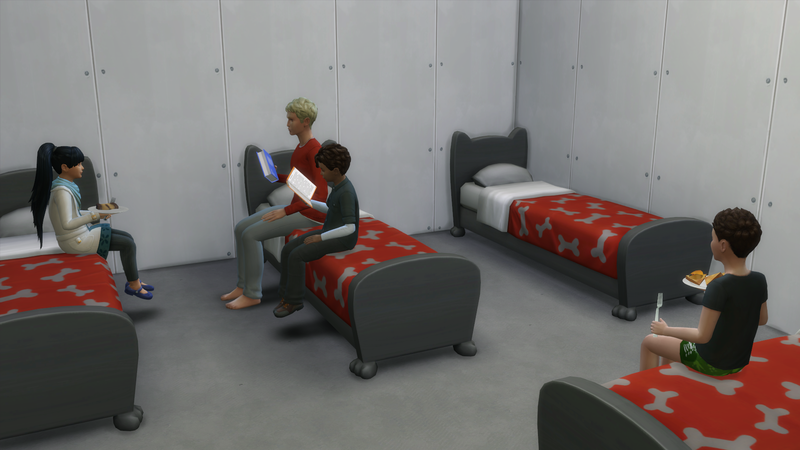 And this is where I found out that if YA’s become care givers to their siblings who are still younger than YA that it counts for “becoming a parent” for the purpose of the Super Parent aspiration. Jaejoong had destroyed the dollhouse. Sometime after this Jaejoong hit YA, but I didn’t get a picture of it. 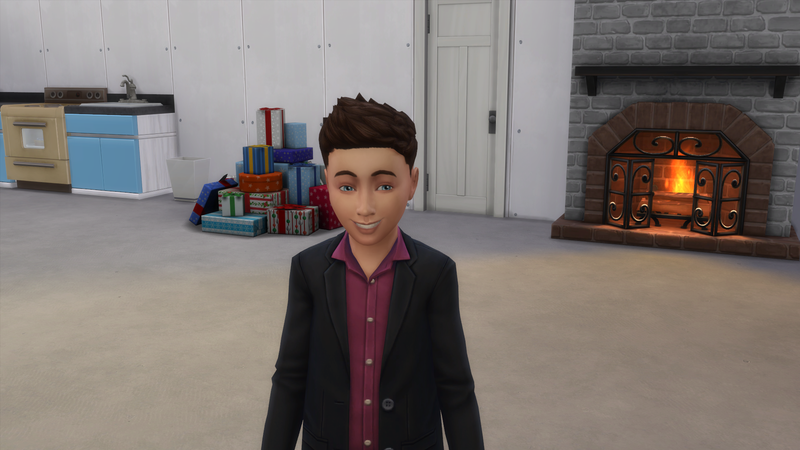 But he looks the same thanks to EA making teens use the same model as YA’s for some unknown reason. His adult trait is Music Lover. 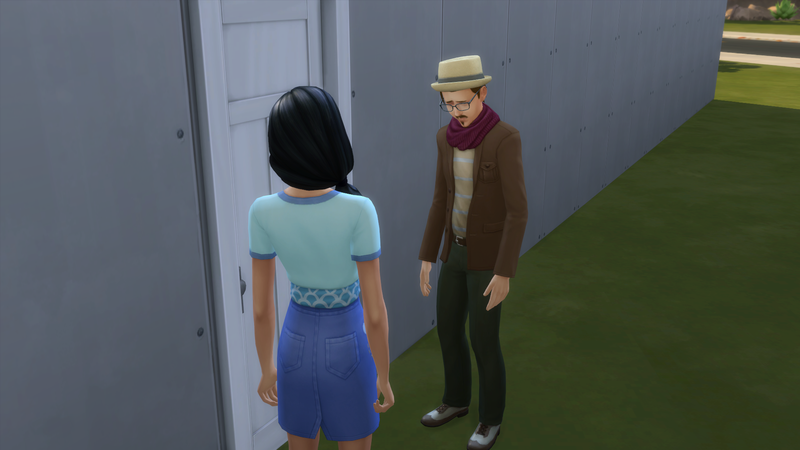 He only got one of the emotion traits and that is Responsible. Yunho eating pancakes with Leetuk. Korea broke the computer while writing and she turned around and immediately repaired it. Winterfest is here and the family that is old enough to decorate the tree is decorating the tree. 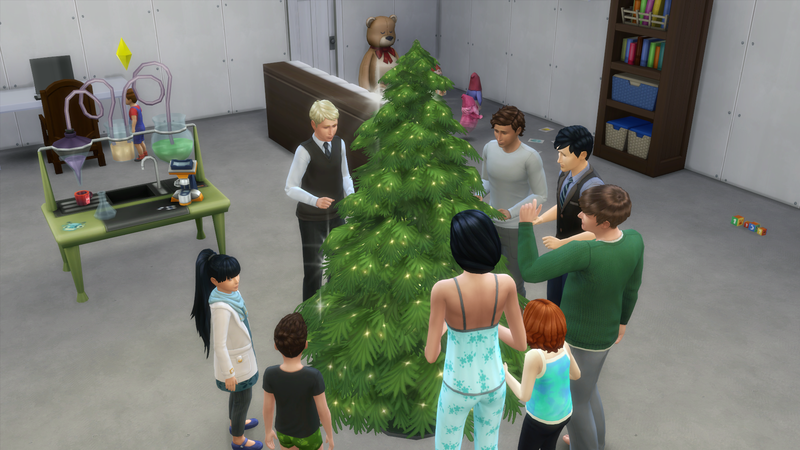 Leetuk got a present from Father Winter. Taeyeon then aged to teenager in her pajamas. 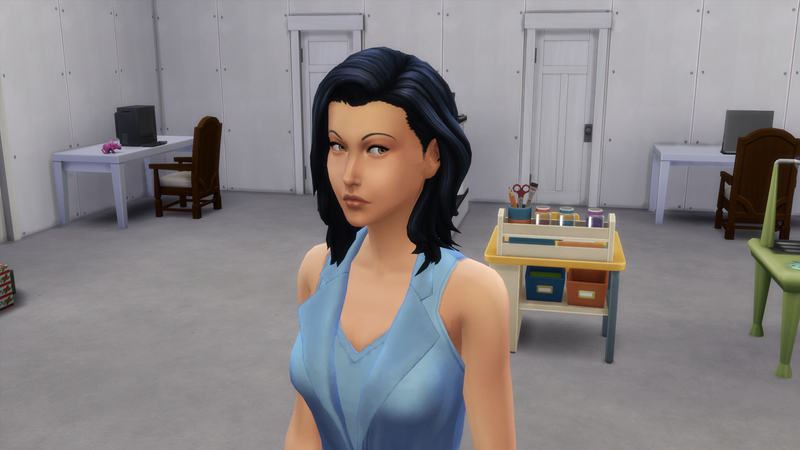 Her teen trait is Clumsy and her aspiration is Archaeology Scholar so she’s got the Quick Learner trait. 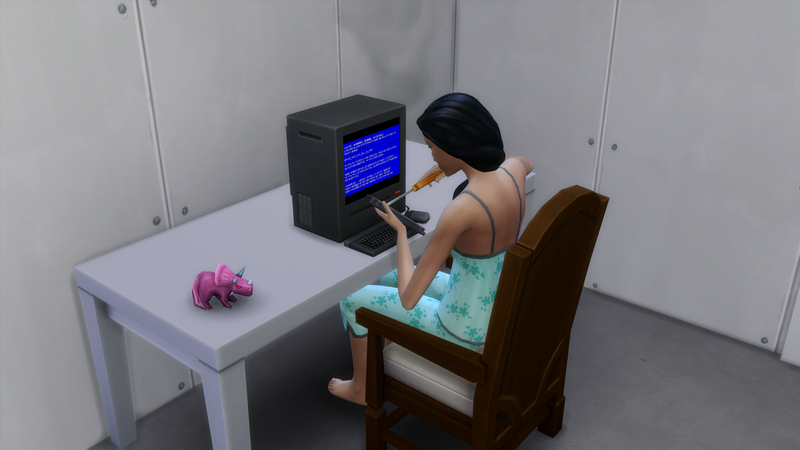 She completed her child aspiration so she’s also got the Mentally Gifted trait. Changmin got caught making a mess and scolded. I’m seeing how far Yunho can get in his aspiration before I decide to kick him and Jaejoong out since I have to send both of them at once due to game limitations. 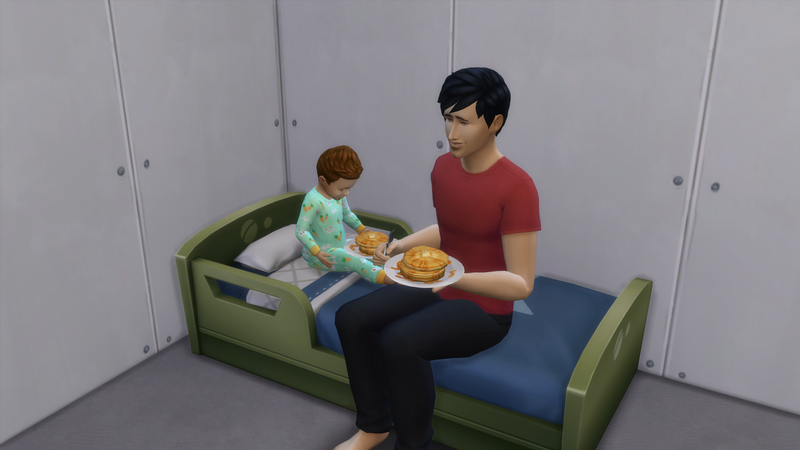 Heechul then aged to toddler right before Winterfest ended. 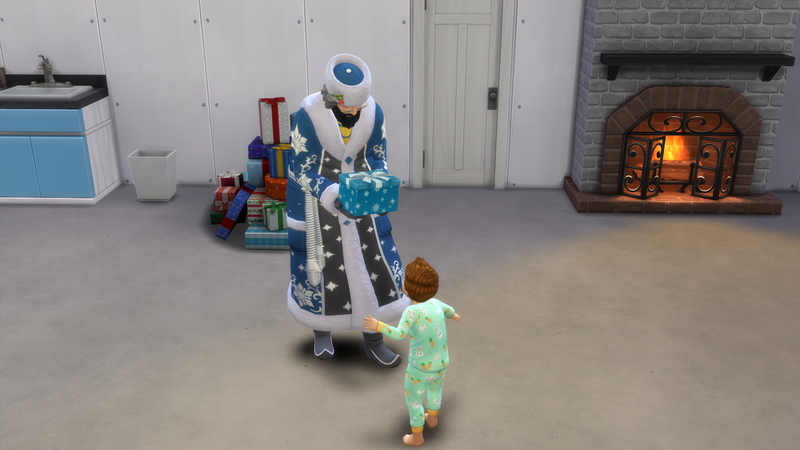 He was saved from having an awful Winterfest by openning a present, but he could not get perfect as Father Winter had already left by the time he aged up. 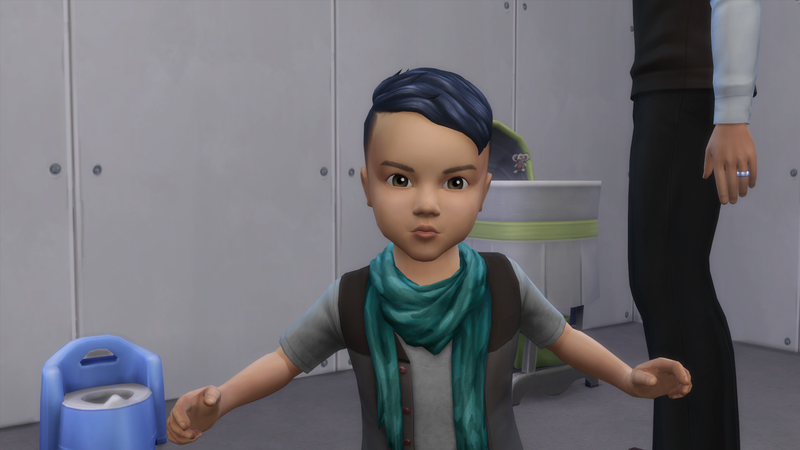 His toddler trait is Charmer. 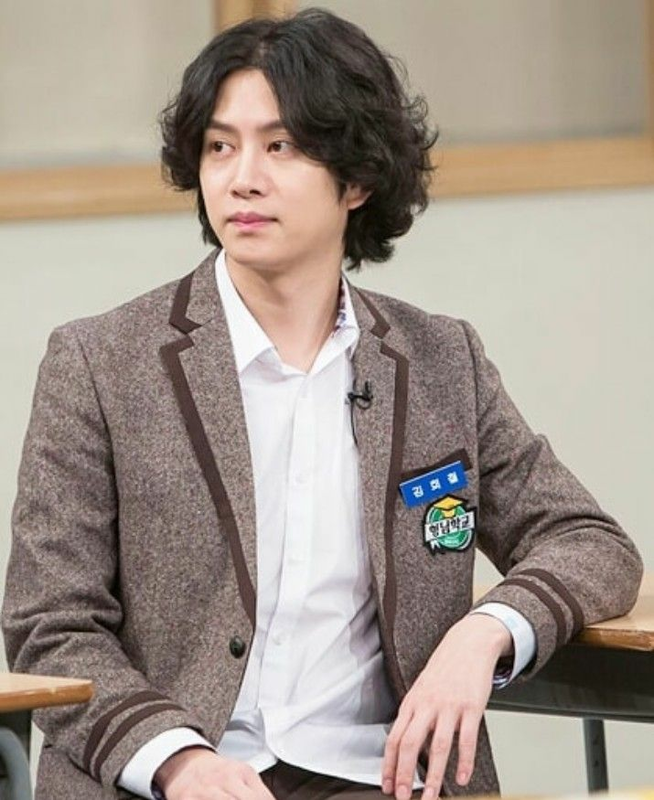 Idol Heechul is named after Kim Hee Chul. He is a member of the group Super Junior and his stage name is Heechul. He was born on July 10, 1983, which does make him only 9 days younger than his fellow member Leetuk. He was born in Hoengseong, Gangwon, South Korea. His roles in the group are Vocalist and Rapper. He’s part of the Super Junior subgroup Super Junior-T. In 2008, he was involved in a car accident which fractured his left leg in multiple places. Due to how it healed, Heechul is not able to do the more strenuous Super Junior dances – especially as time went on. He’s currently only doing very limited participation in the group’s music activities (he was only in the music video for their last release, but did not add any vocals or participate in any of the comeback stages). He is also part of a few variety shows – Life Bar and Knowing Brothers, where he is known for being savage. The following YouTube video is of their song “U” which was released on June 7, 2006. It was Super Junior’s first break out single and was Kyuhyun’s debut with Super Junior. The girl in the music video is Girls’ Generation’s Yoona.